Jackson State has found light at the end of a dark season, beating its in-state rival for its third win in four games. Jackson, Miss. – Terrell Kennedy’s 69-yard touchdown run was the difference maker in Jackson State’s 7-3 win over the Alcorn State Braves Saturday evening at Mississippi Veterans Memorial Stadium. This win over the Braves should leave a sweet taste left in JSU fans mouths following a bitterly disappointing season. Jackson State finished the season with a 3-8 overall record and a 3-4 SWAC record. Kennedy’s touchdown was the only one of the day and proved to give a stout Tigers defense just enough cushion to close out the game for the win. 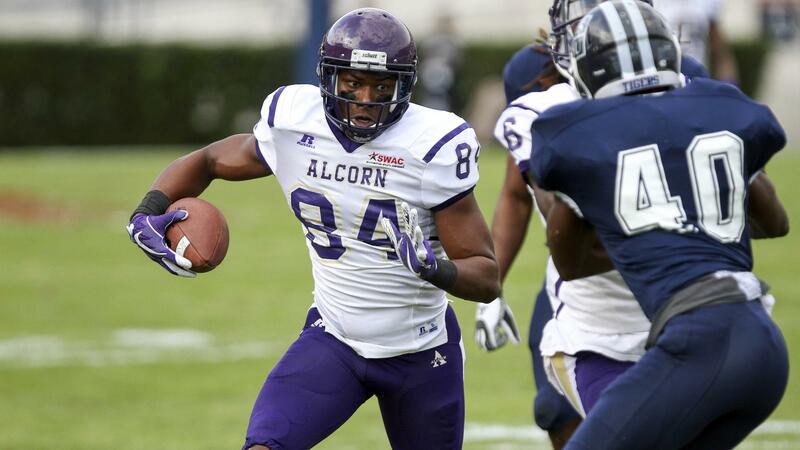 JSU’s biggest defensive play of the game came on Alcorn’s final drive of the game. ASU signal caller Noah Johnson looked to lead the Braves into JSU territory when he hooked up with Jalen Walker for a 20-yard strike to the JSU 37-yard line. But JSU senior linebacker Andre Lloyd forced a Walker fumble and senior linebacker Shawn Bishop recovered the ball on the JSU 35-yard line. The Tigers went on to ice the game with a pair of kneel down plays. Kennedy recorded a game-high 73 rushing yards and a TD on only four carries. QB Jordan Williams did just enough in the passing game as he passed for 130 yards. He completed 14 of his 26 pass attempts. Benjy Parrish was Williams’ favorite target on the day, catching 7 passes for 80 yards. Lloyd finished with a game-high 10 tackles as well as forcing the game preserving fumble. Darrius Woods added nine tackles. Noah Johnson led the Braves (7-4, 5-2 SWAC) with 70 rushing yards and 199 passing yards.